Split peas are the mature form of peas: the dried peas are peeled and then split, increasing the surface area of the pea. As a result, split peas don’t need to be soaked and they cook more quickly than whole peas. 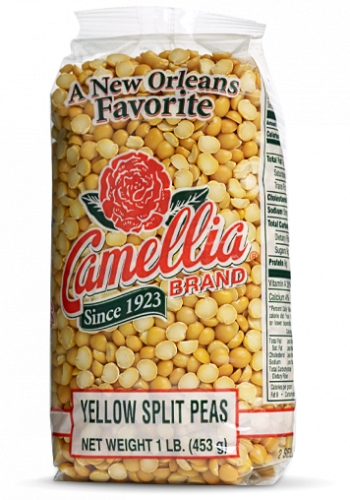 Like all of our beans, Camellia’s Yellow Split Peas are non-GMO, gluten-free, and meet the “Hayward Standard” – the name our growers gave our bean quality standard – which exceeds the top USDA requirements. Try some today – we think you’ll taste the difference. Yellow and green split peas have a similar nutritional content and cooking time, but yellow peas tend to have a more earthy flavor, while green peas are sweeter. 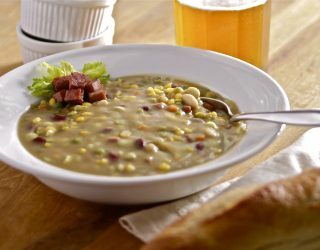 Due to their versatility, both green and yellow split peas are found in the traditional dishes of a variety of cultures. 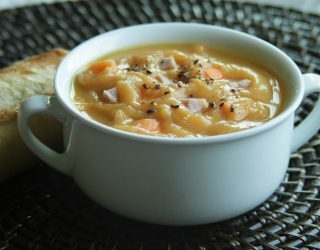 They’re commonly used to make soups such as American split pea with ham soup and khoresht gheimeh, a Persian stew made with yellow split peas and lamb. 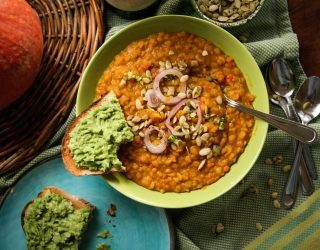 Split peas were an ingredient in Medieval English pease porridge (of nursery rhyme fame), are found in the vegetarian Indian staple called dahl, and are served as a sweet snack in China.